Welcome to Michigan Ski Authority. Your Hot Spot for Ski Discount. With shoreline on three sides of the state, it would be easy to think that the skiing in Michigan is too low and too flat for more than a few ski areas. A closer look shows an ideal region for skiing with one of the largest networks of ski areas and resorts. To this point, while Michigan’s most popular nickname is the Great Lakes State, we prefer the alternate, Water Winter Wonderland. With its location deep in the northern Midwest and snug between the moisture-producing Great Lakes, snow comes fast and furious in the winters. The Upper Peninsula—or U-P—is rugged and mountainous with the Huron and Porcupine Mountains jutting skyward in the west. The Lower Peninsula has mountains and plateaus in the north and lower hills in the east away from the coasts of the lakes. When you go skiing in Michigan, there are over 40 resorts to choose from. The resorts cluster in three major areas: the Upper Peninsula, the Northern LP, and the Southern LP. The four most popular resorts in the state, Blackjack, Indianhead, Big Powderhorn, and Ski Brule, are all located in the Upper Peninsula. The highest vertical in the state (at 900 feet) is also located in the Upper Peninsula at Mount Bohemia. The Lower Peninsula has the largest resort in the state. Boyne Highlands has 435 acres of skiing, and when combined with its sister resort, Boyne Mountain, you get almost 900 acres to ski in Michigan. Other ski resorts you can find in the northern mainland include Shanty Creek, Crystal Mountain, and Treetops. Southern Michigan has resorts near Grand Rapids, Kalamazoo, and Detroit. Look for Pando, Timber Ridge, and Mt. Holly as your go to resorts near those areas. These resorts and cross-state skiing coverage allows residents and visitors to find the destination that makes sense for them. Looking for a “real adventure?” You can’t pass up the opportunity to discover the charms of the U-P. Less concerned about finding world-class ski resorts and more worried about time and stress-free travel? Try one of the resorts closer to a major population center. The skiing in Michigan is as diverse as you’ll find pretty much anywhere. While the verticals aren’t as high as you’ll find in Vermont or Utah, they are still steep and fast enough to satisfy all but the most jaded skier. Because of the two separate areas and weather patterns, if the lower mainland doesn’t have snow, the Upper Peninsula will. Speaking of the two parts of Michigan, getting to the Upper Peninsula from the Lower Peninsula can be done one of three ways. You can fly, but that short of a flight can be expensive. You can also drive through Wisconsin leaving the Lower Peninsula and traveling along US-41 for the most scenic route. The most direct route is of course, driving over the Mackinac Bridge from Mackinaw to St. Ignace on I-75. While driving in Michigan during the winter, expect to be driving in snow. Do your best to keep notified of the weather and don’t drive at night when a storm is expected, especially in the U-P. Gas stations can be few and far between, and you may end up pulling over to wait out a blizzard. On the upside, this climate also means a longer skiing season most years. Your ski vacation shouldn’t cost a lot for you to have a great time and there are some simple tips on how to save money. Planning ahead of time makes sure that you aren’t going to be paying out of the nose for things like lift tickets or equipment rentals. 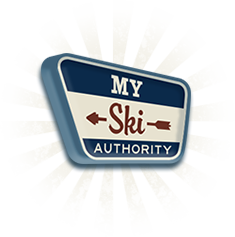 Find online discounts and compare prices with the Michigan Ski Authority. Write to us if you have a question you don’t see answered on these pages.